The Dubai World Cup takes place on Saturday and is the feature race on a fantastic night of flat racing at Meydan. The meeting continues to grow year-on-year and the supporting card is worthy of many of the biggest festivals in racing. The favourite for the race is 2013 Epsom Derby winner Ruler Of The World. Aidan O’Brien’s colt lost his unbeaten tag in the Irish Derby and has not won since, although he did run well at Ascot on his final start. He finished third in the Champion Stakes behind Farhh and Cirrus Des Aigles over this trip. The son of Galileo clearly stays a mile and a half well and will presumably be ridden close to the pace on Saturday. This will be his first race on this surface but Aidan O’Brien clearly feels that this is the right early season target for the four-year-old. Ryan Moore rode him to his Epsom Derby triumph but Joseph O’Brien will be in the saddle here. One of the main dangers is John Moore’s Military Attack who was a convincing winner at Sha Tin last time out. 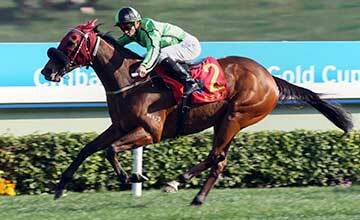 That was his second successive victory in the Hong Kong Gold Cup and his speed could prove decisive. The son of Oratorio was beaten in his first four starts in Hong Kong this season but clearly retains plenty of ability. Moore is confident that the horse can handle the travelling having won at Singapore last May. He was a decisive three-length winner from Dan Excel last time and could be a good bet at 6-1 with Bet365. The habitual front-runner Mukhadram has been drawn in barrier 13 so will struggle to make it to the front rank this time. Paul Hanagan will try to get him close to the pace early on as he is a relentless galloper and put up a game performance in defeat in the Prince Of Wales’s Stakes at Royal Ascot. William Haggas won with the smart Ertijaal at Lingfield last Saturday so has his team in good form. Mukhadram also finished third in the Coral Eclipse Stakes and should have a good season, whatever his fate on Saturday. Prince Bishop is hoping to complete a hat-trick for Godolphin after two recent victories at Meydan. He always looked to have matters under control last time under Fallon last time in a Group 1 on this surface and could run well. Sir Michael Stoute’s Hillstar was only sixth in the Champion Stakes and a fair third in the King George VI and Queen Elizabeth Diamond Stakes last year. The globetrotting pair of Red Cadeaux and Side Glance will doubtless run their usual game races but a place may be the best that they can hope for.